"Summer Morning Isle of Palms" by Kevin Curran, Fine Art Print, Single White Mat 11" x 14", Image size 8" x 10" or the (Larger Matted to 16" x 20", Image size 11" x 14" This is a Limited Edition, Signed, and Numbered print. 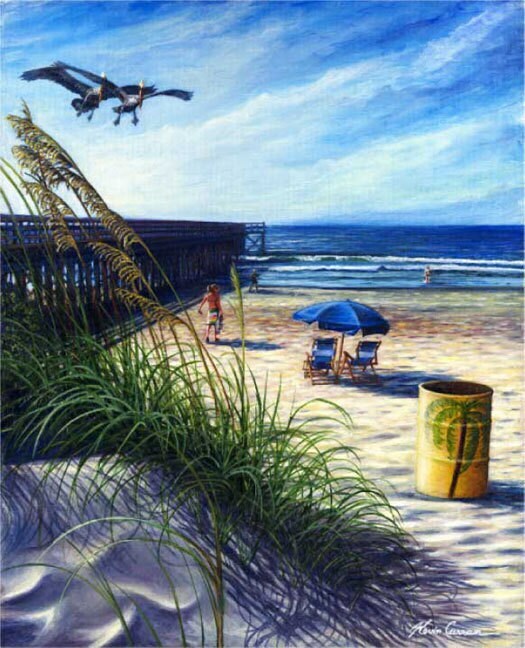 This painting features a relaxing beach scene of the Isle of palms peir, the ocean rolling in, pelicans passing by. It is inspired by the beautiful Isle of Palms beach of South Carolina.